Keep yourself and your employees safe with this FallTech Harness & Lanyard Kit with Carry Bag. This fall arrest protection equipment includes a full body harness, abrasion resistant lanyard, and large size duffle bag. 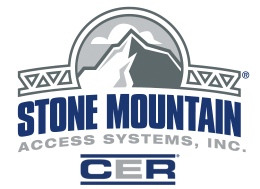 For more information about the Harness & Lanyard Kit with Carry Bag or other safety equipment, contact your local Stone Mountain Access representative. 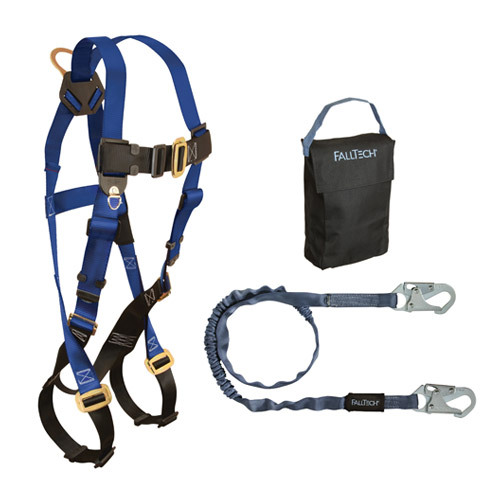 The 7015 Contractor 1-D Full Body Harness features a Single back d-ring for fall arrest; 5-point adjustability; Mating buckle legs and chest; 1 lanyard keeper and is a universal fit design for all sizes. 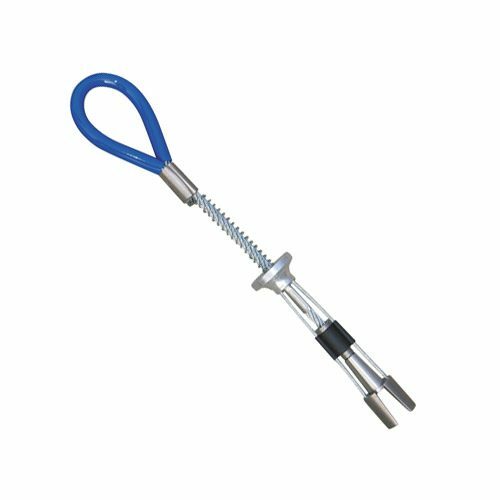 It has a 5,000lbs tensile strength and a maximum capacity of 425lbs (To maintain ANSI Z359 compliance, limit total user weight to 310lbs). 5007LP Large-sized duffle bag measures a full 10”X18” and is ideally suited for storing your harness, lanyard, srl and other fall arrest equipment to keep them out of the damaging rays of the sun and clean when not in use.